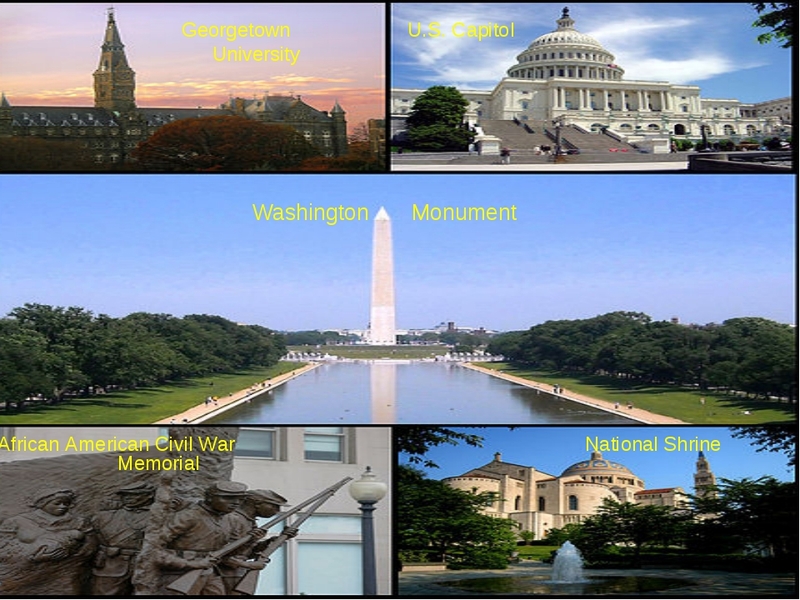 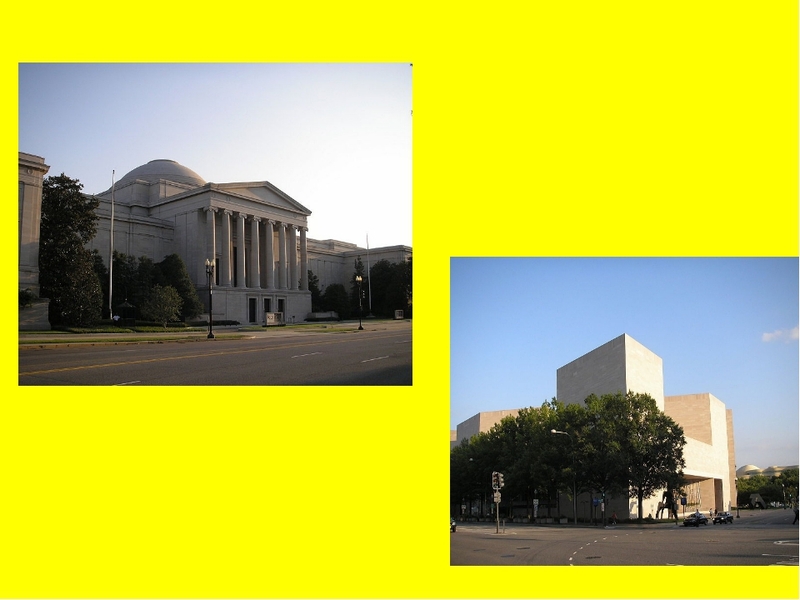 Washington, D.C. is situated on both banks of the Potomac river, between the two states, Maryland and Virginia. 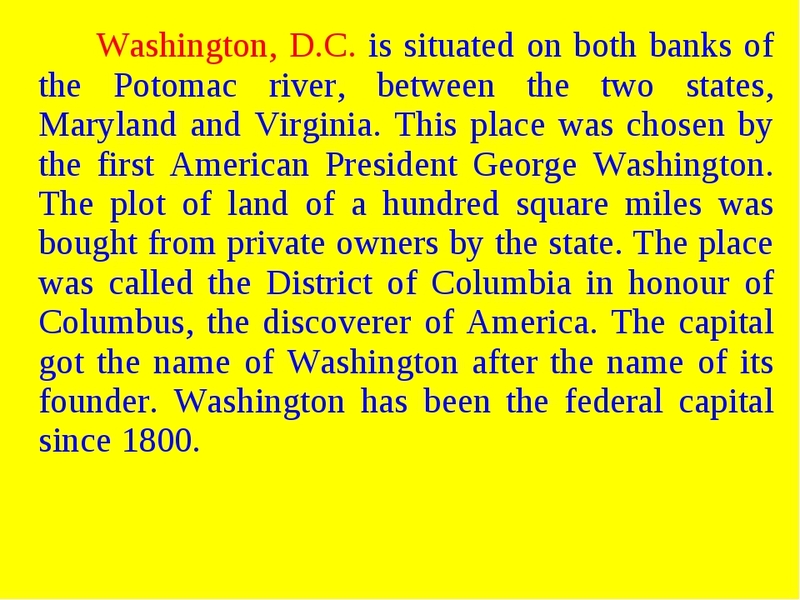 This place was chosen by the first American President George Washington. 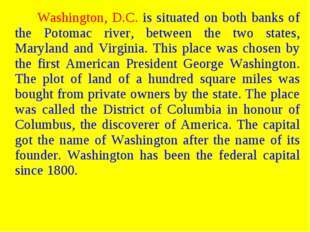 The plot of land of a hundred square miles was bought from private owners by the state. 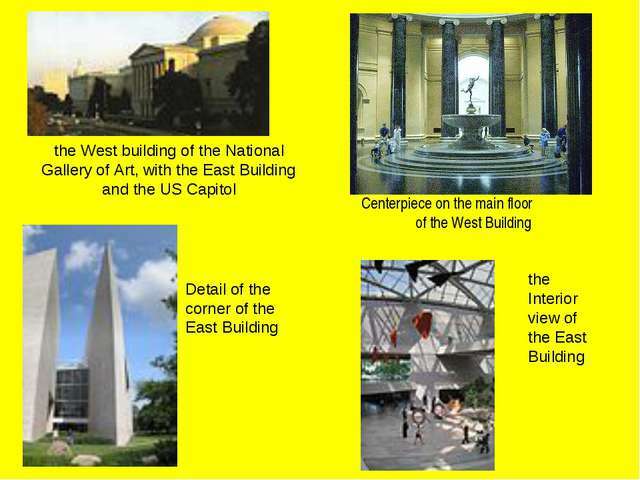 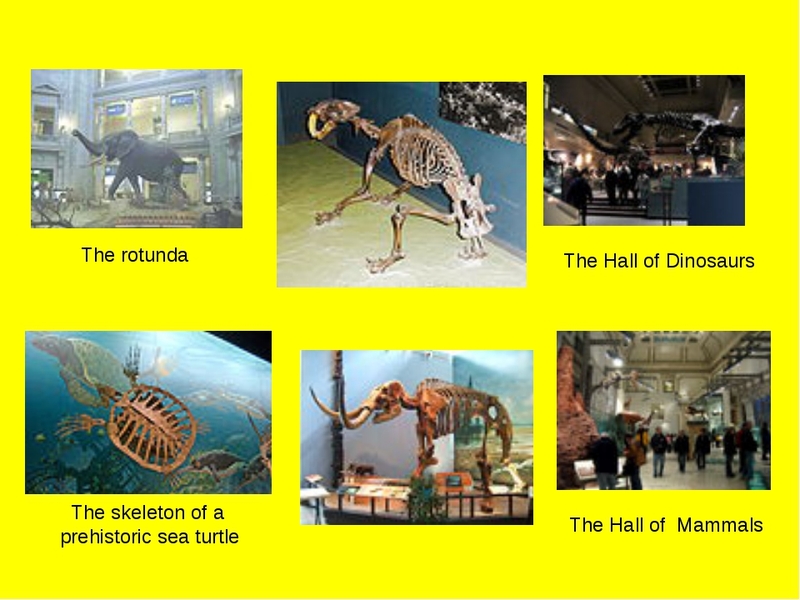 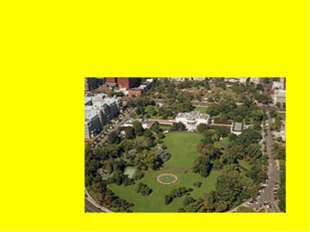 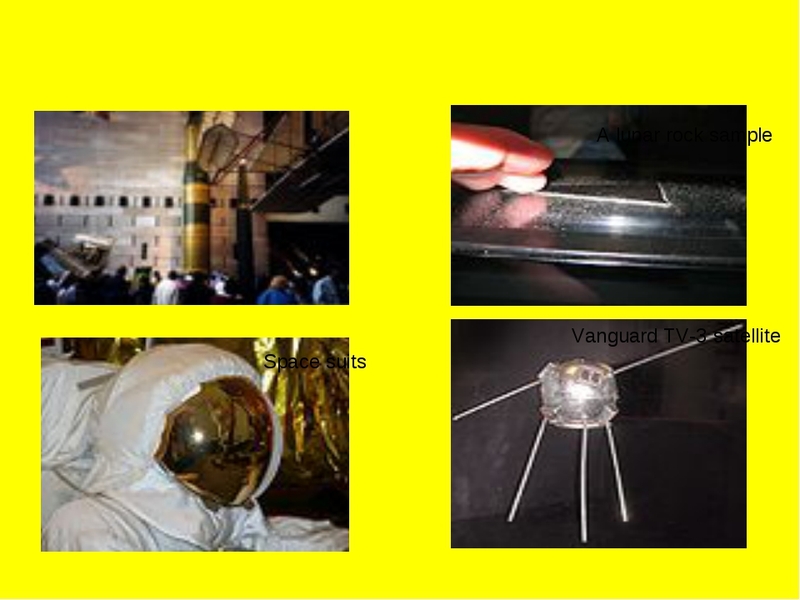 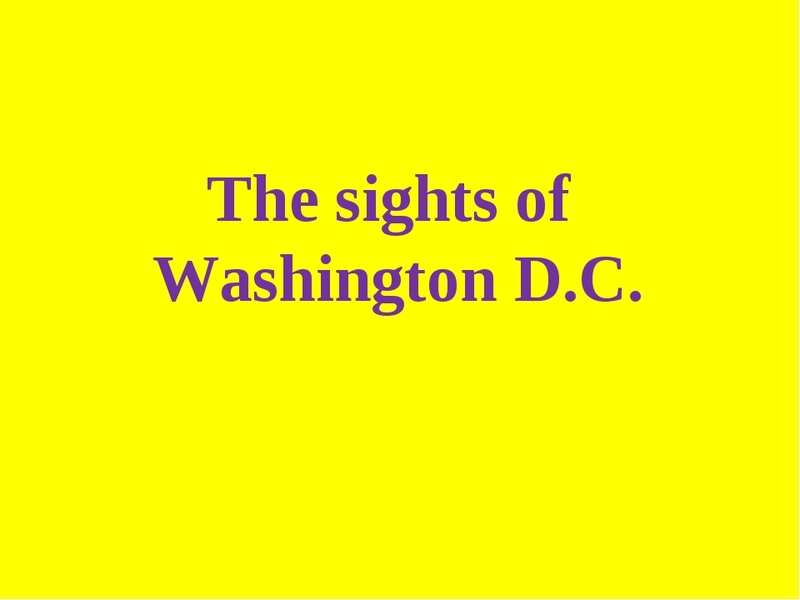 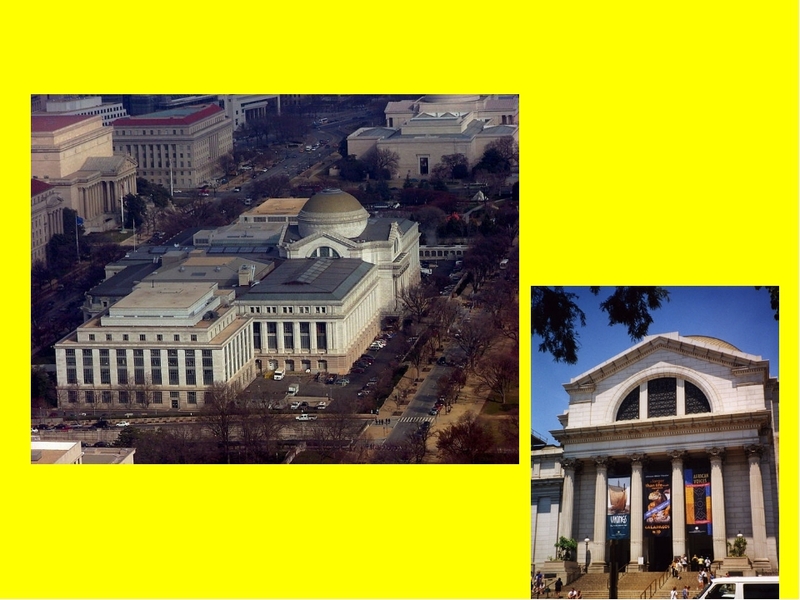 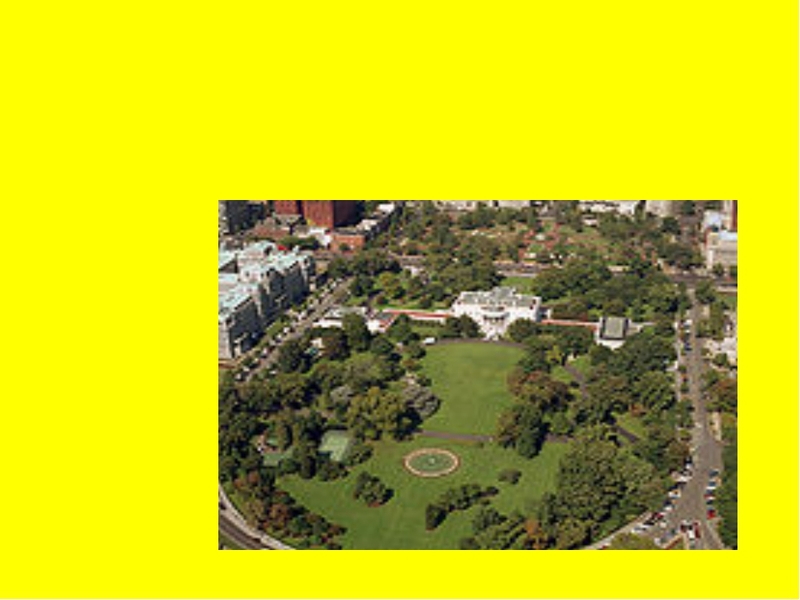 The place was called the District of Columbia in honour of Columbus, the discoverer of America. 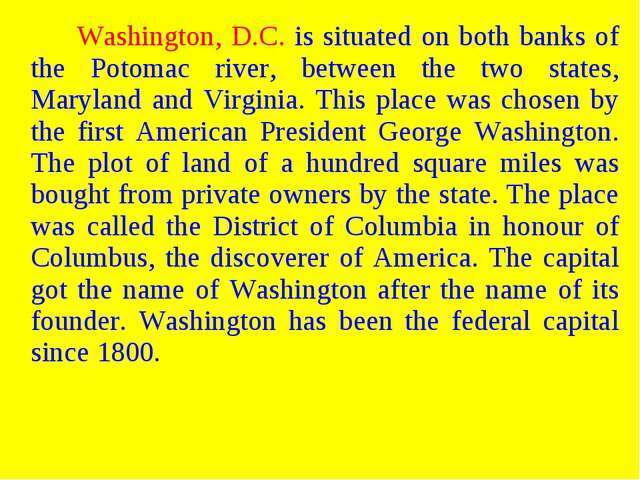 The capital got the name of Washington after the name of its founder. 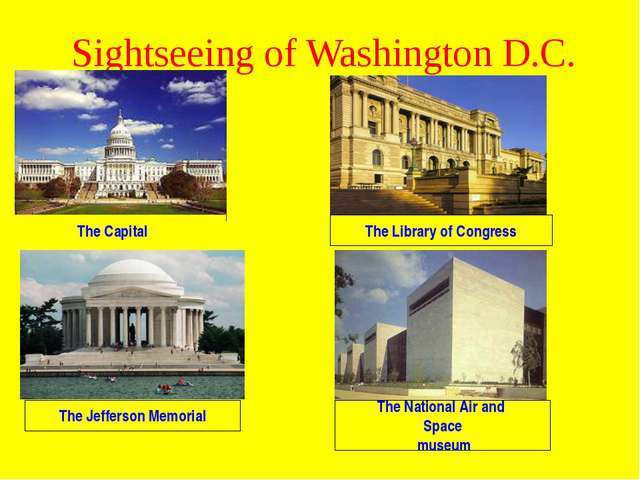 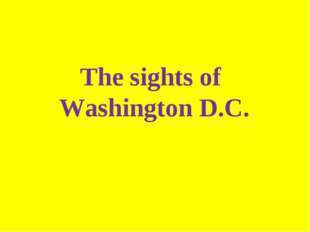 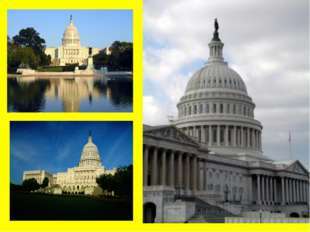 Washington has been the federal capital since 1800. 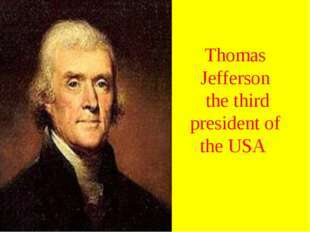 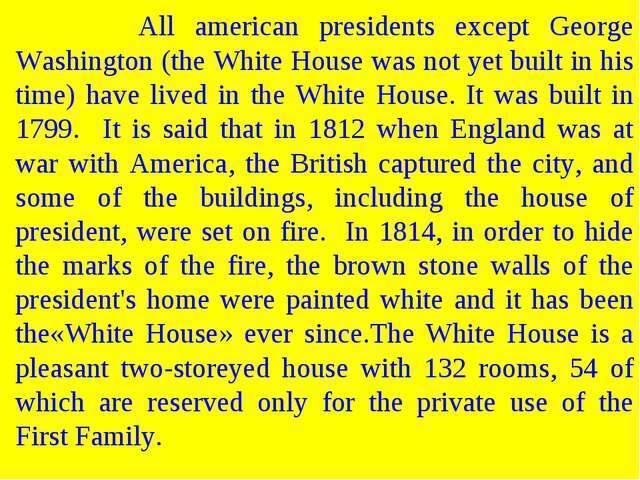 All american presidents except George Washington (the White House was not yet built in his time) have lived in the White House. 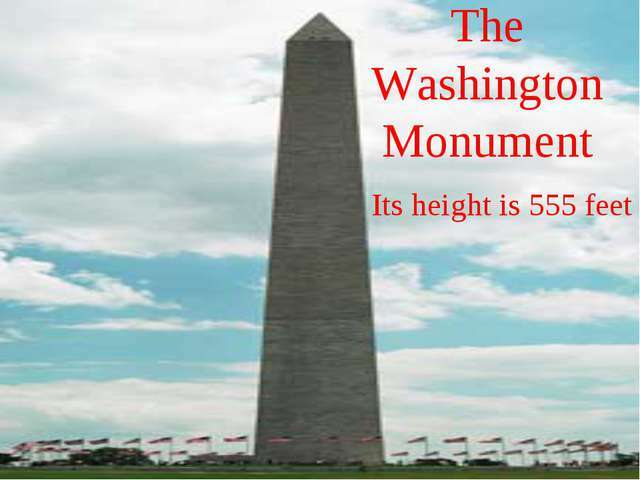 It was built in 1799. 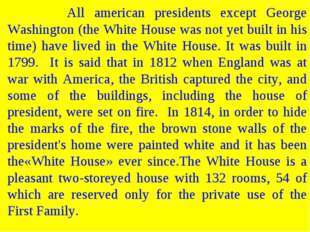 It is said that in 1812 when England was at war with America, the British captured the city, and some of the buildings, including the house of president, were set on fire. 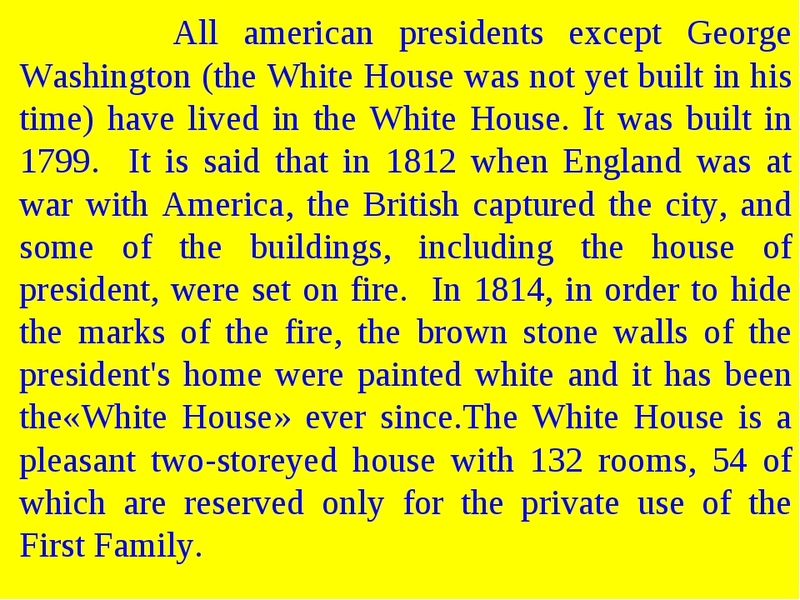 In 1814, in order to hide the marks of the fire, the brown stone walls of the president's home were painted white and it has been the«White House» ever since.The White House is a pleasant two-storeyed house with 132 rooms, 54 of which are reserved only for the private use of the First Family. 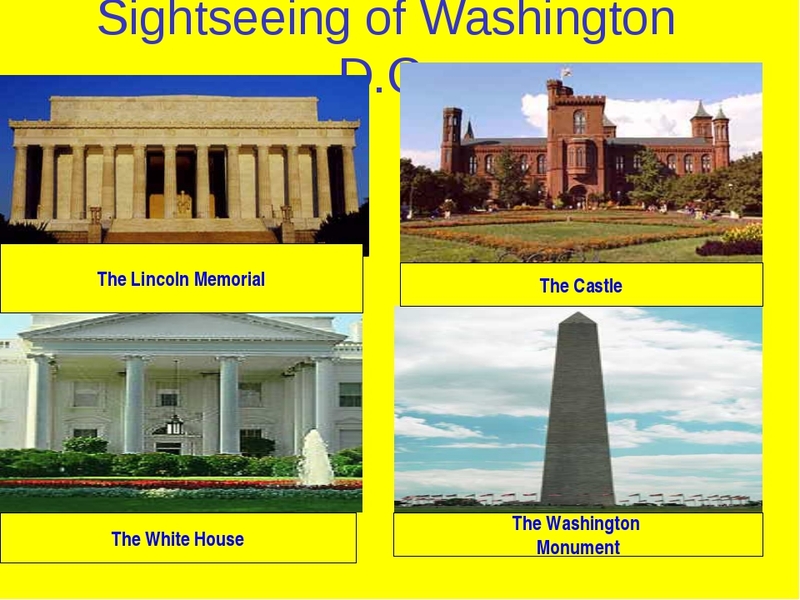 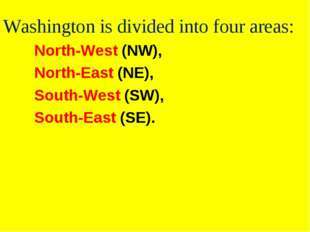 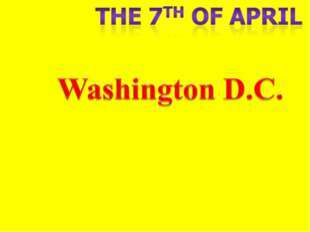 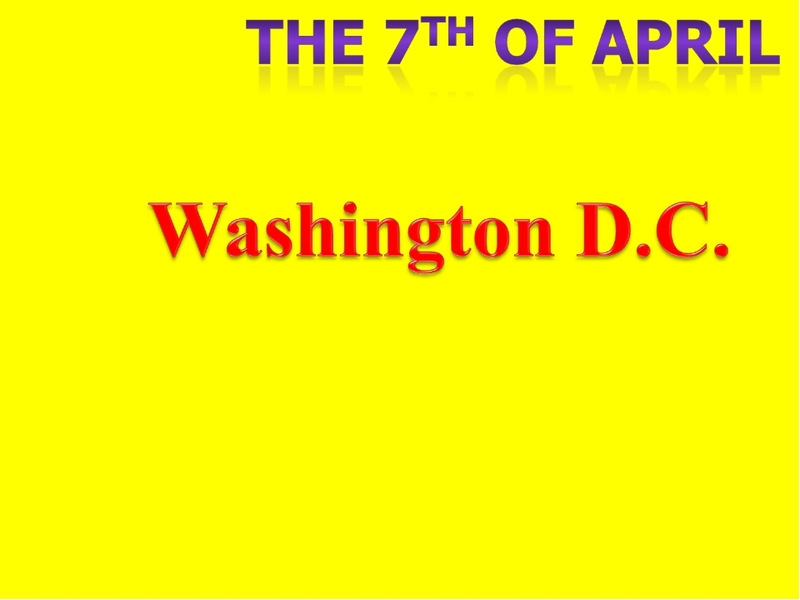 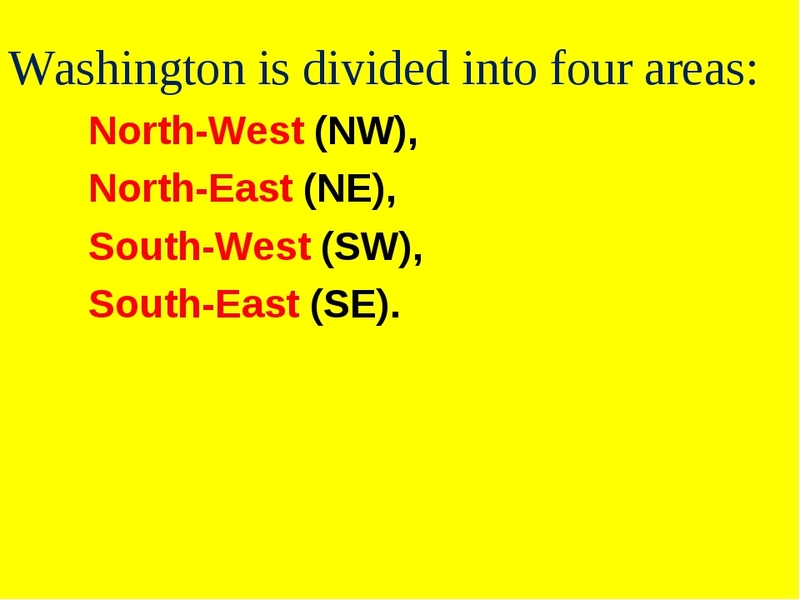 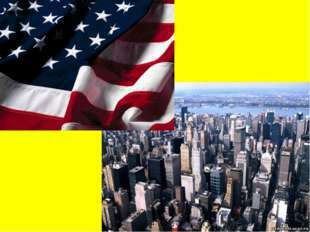 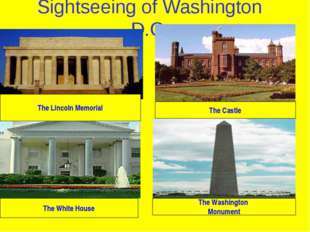 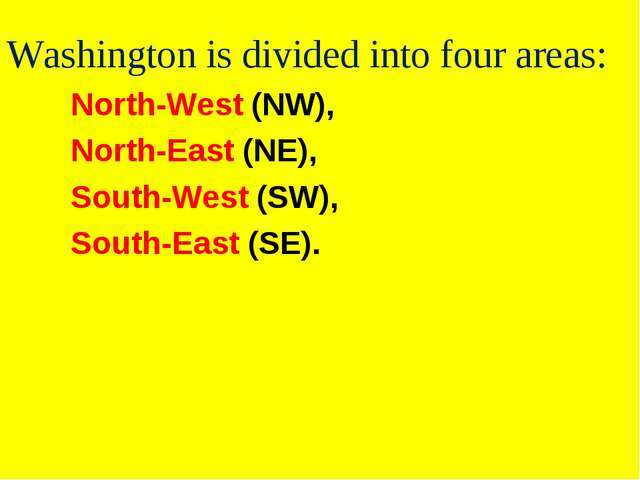 Washington is divided into four areas: North-West (NW), North-East (NE), South-West (SW), South-East (SE). 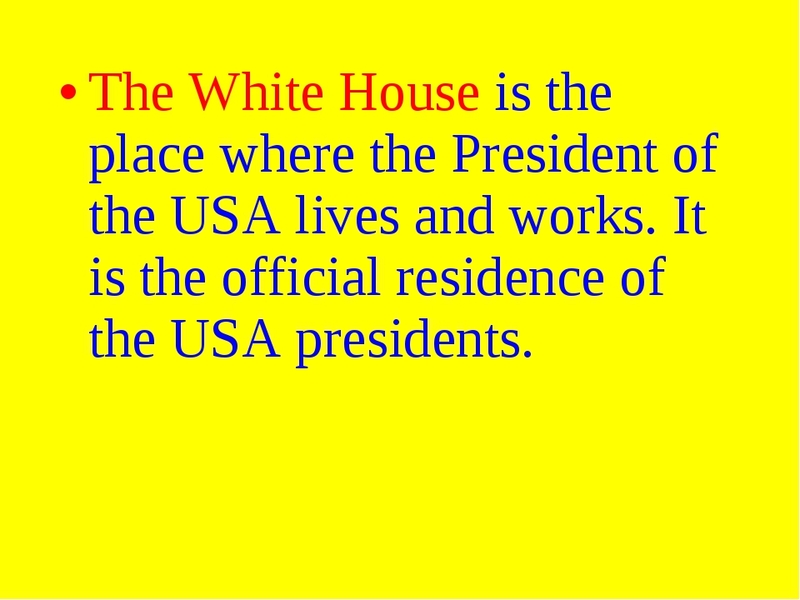 The White House is the place where the President of the USA lives and works. 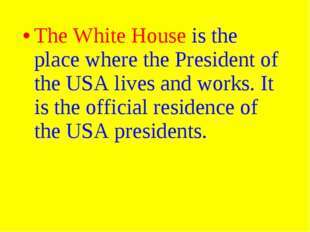 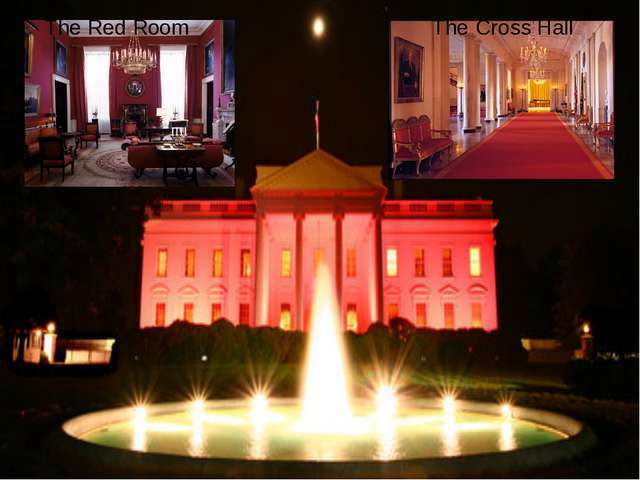 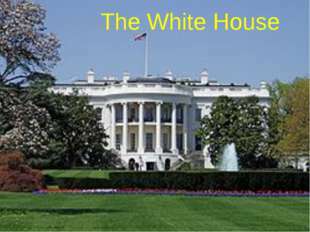 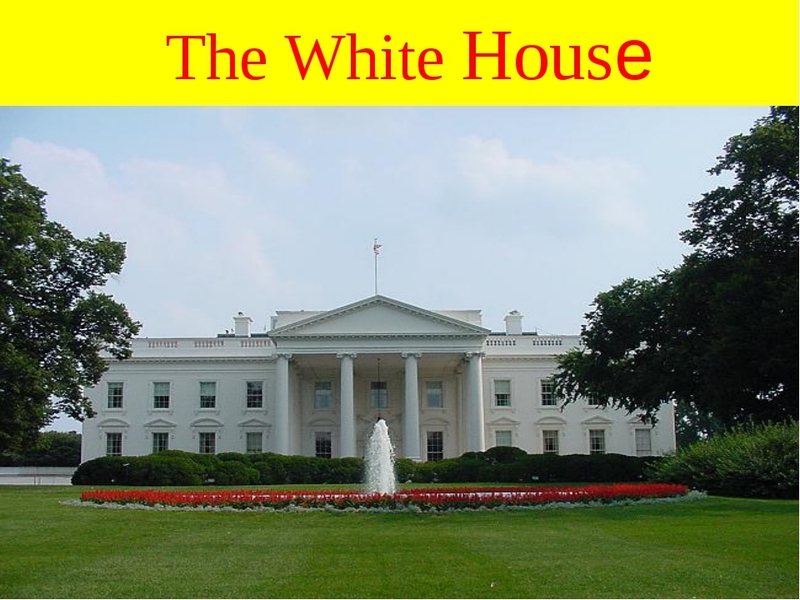 It is the official residence of the USA presidents. The capitol owes very much to the first President of the United States, George Washington. 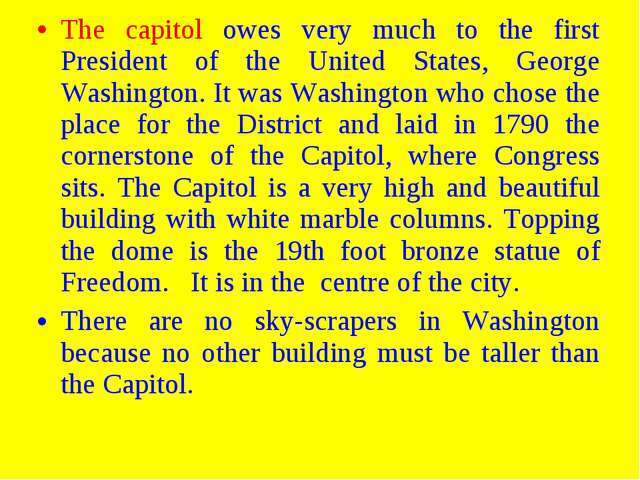 It was Washington who chose the place for the District and laid in 1790 the cornerstone of the Capitol, where Congress sits. 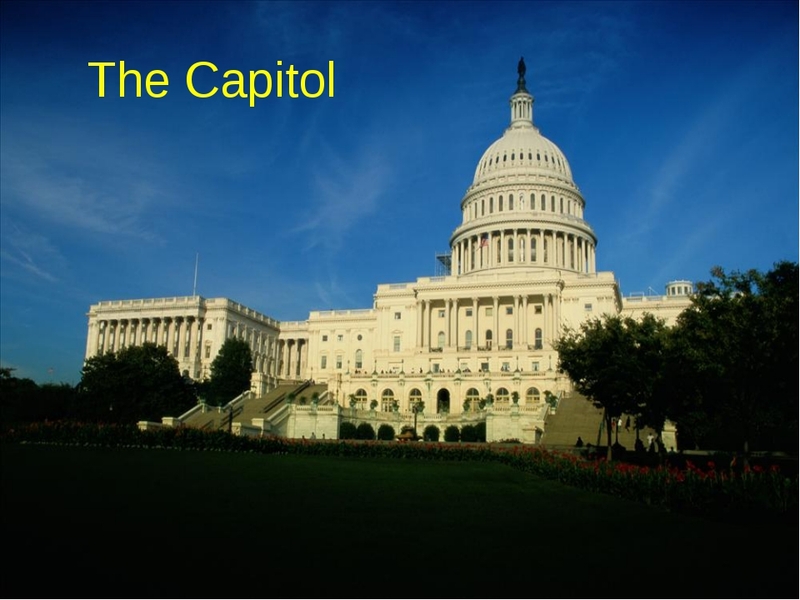 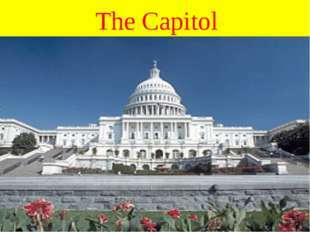 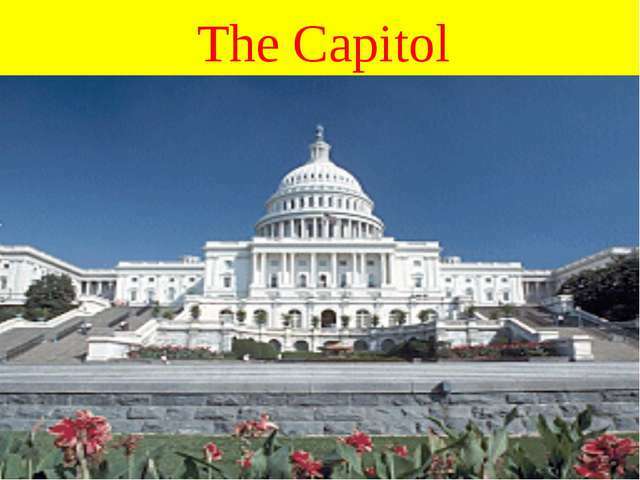 The Capitol is a very high and beautiful building with white marble columns. 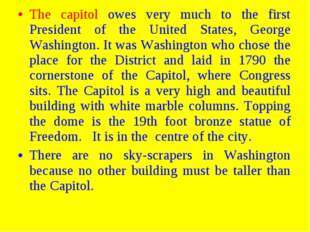 Topping the dome is the 19th foot bronze statue of Freedom. It is in the centre of the city. 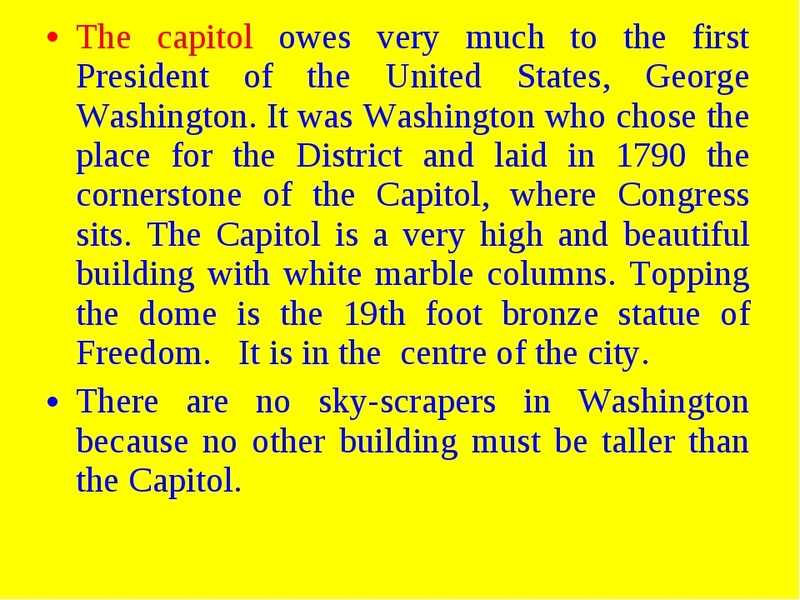 There are no sky­scrapers in Washington because no other building must be taller than the Capitol. 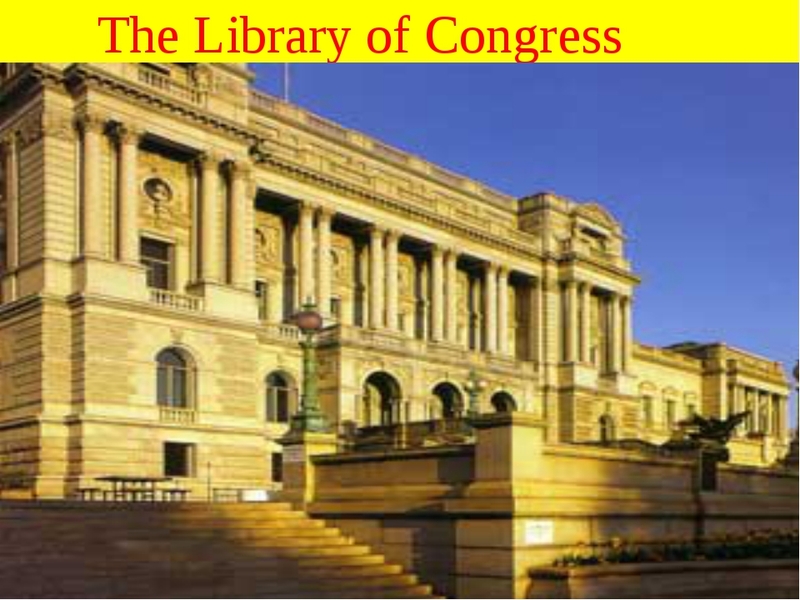 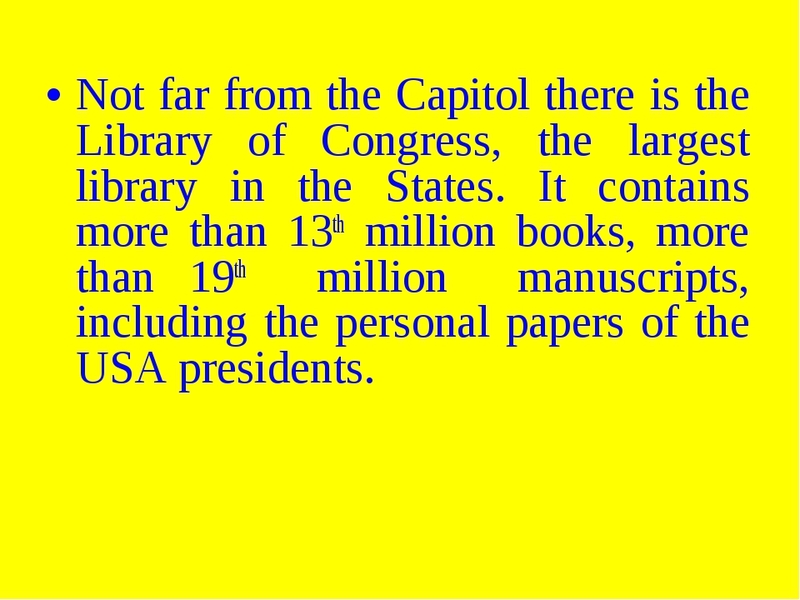 Not far from the Capitol there is the Library of Congress, the largest library in the States. 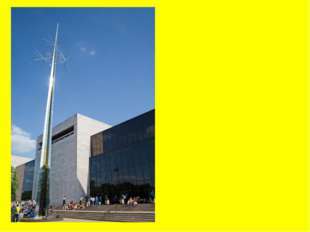 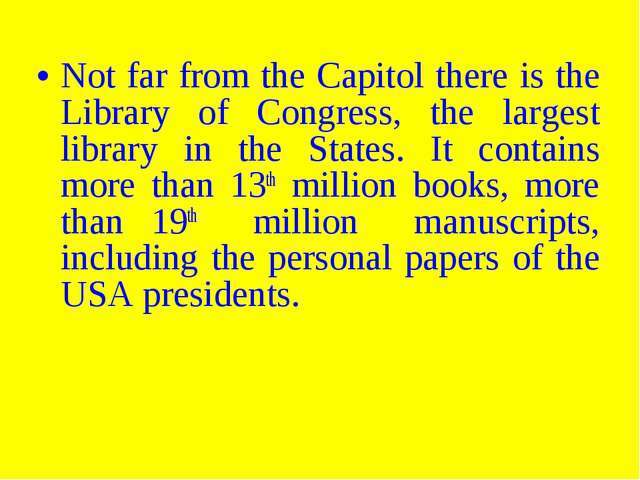 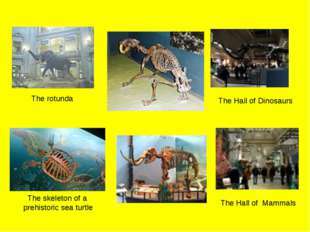 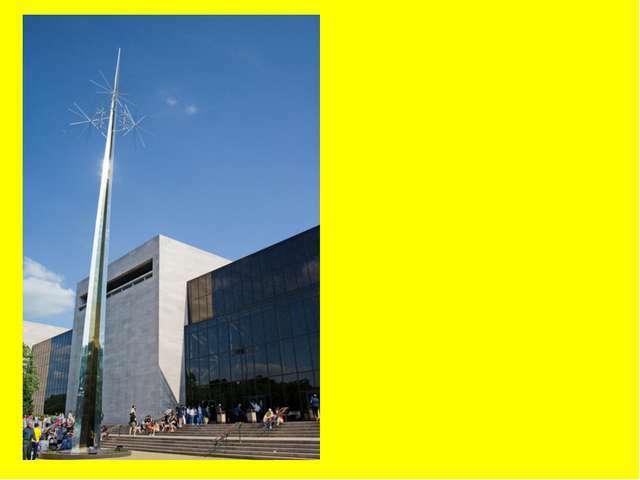 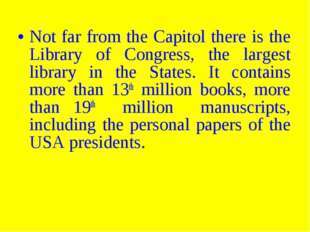 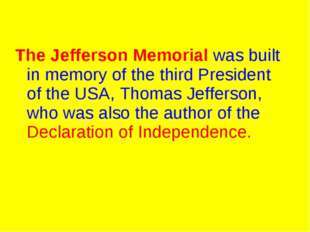 It contains more than 13th million books, more than 19th million manuscripts, including the personal papers of the USA presidents. 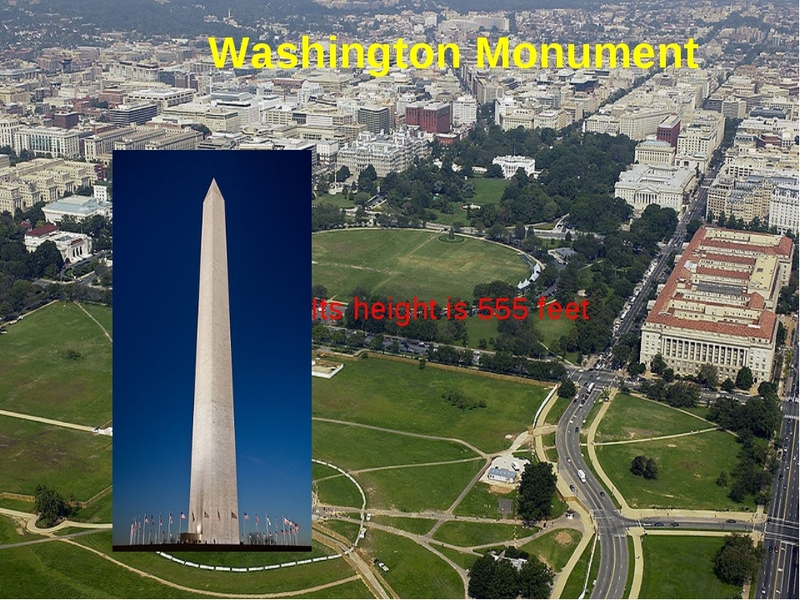 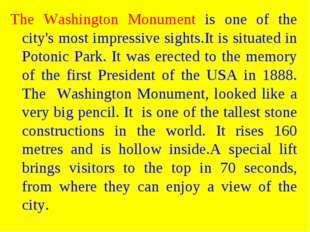 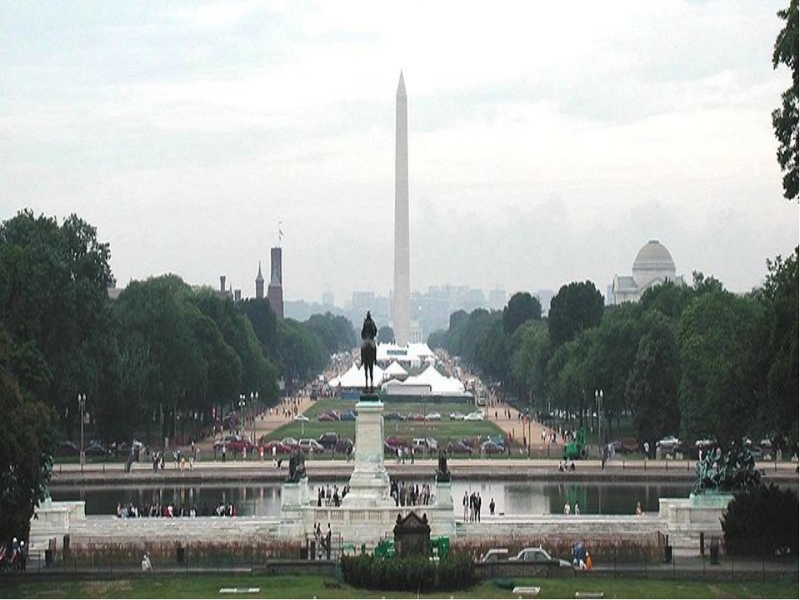 The Washington Monument is one of the city's most impressive sights.It is situated in Potonic Park. 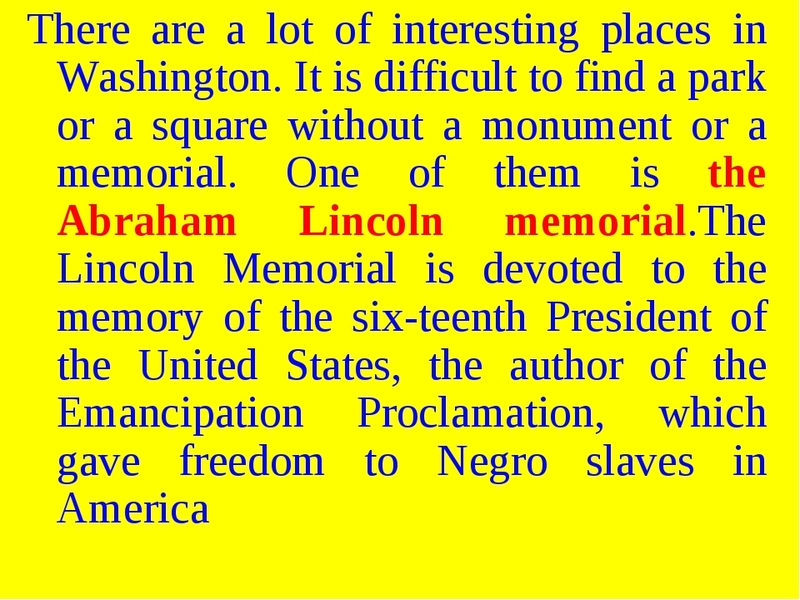 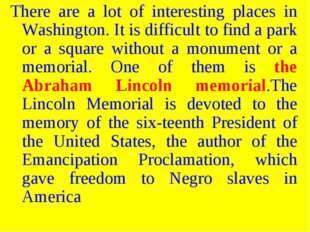 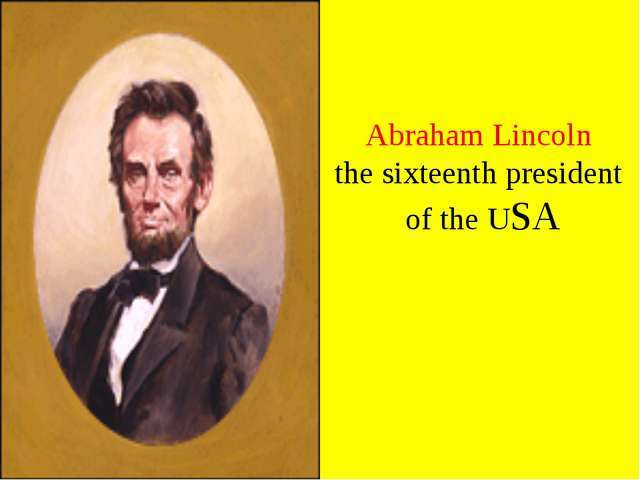 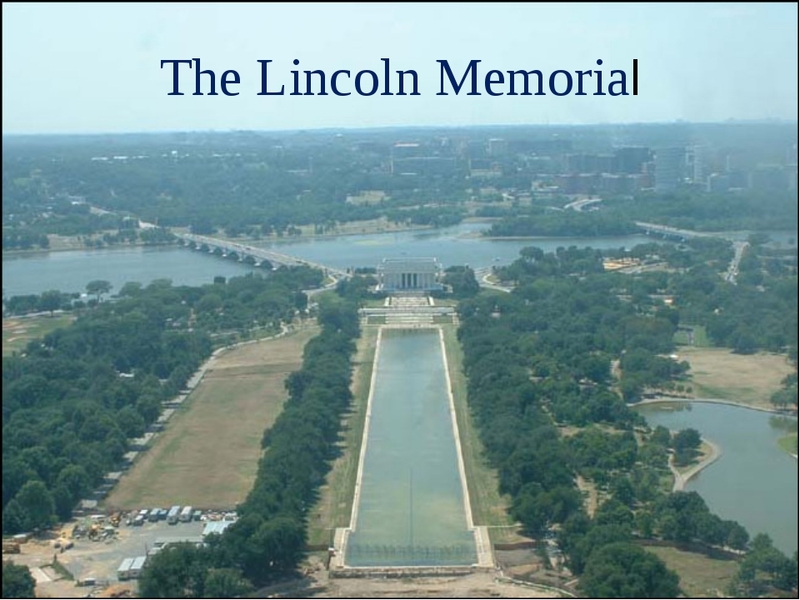 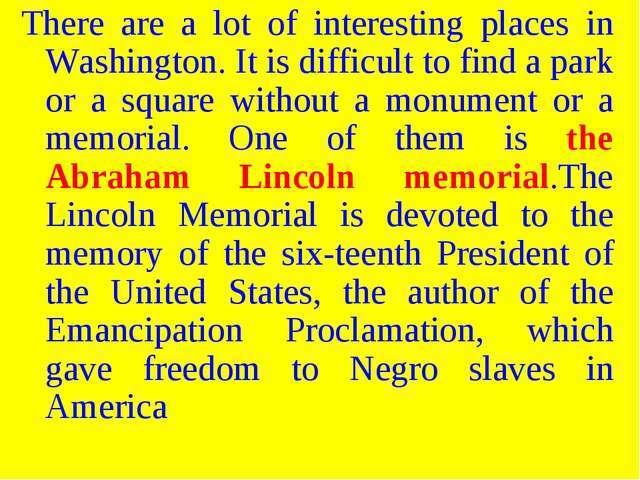 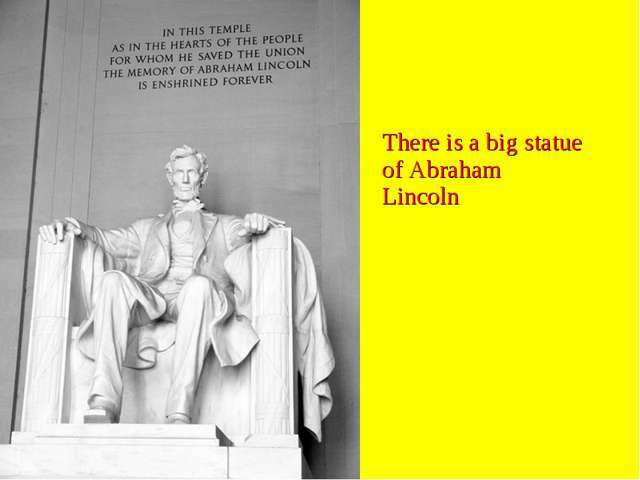 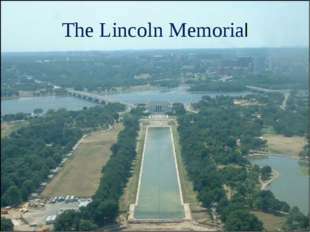 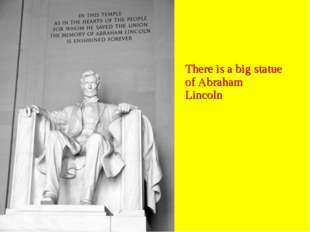 It was erected to the memory of the first President of the USA in 1888. The Washington Monument, looked like a very big pencil. 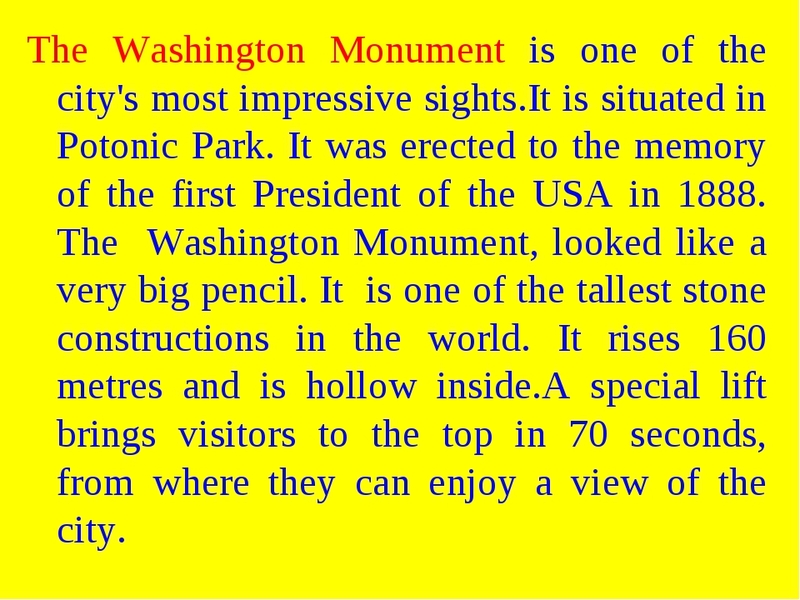 It is one of the tallest stone constructions in the world. It rises 160 metres and is hollow inside.A special lift brings visitors to the top in 70 seconds, from where they can enjoy a view of the city. 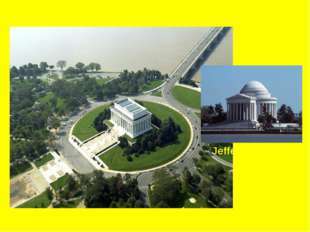 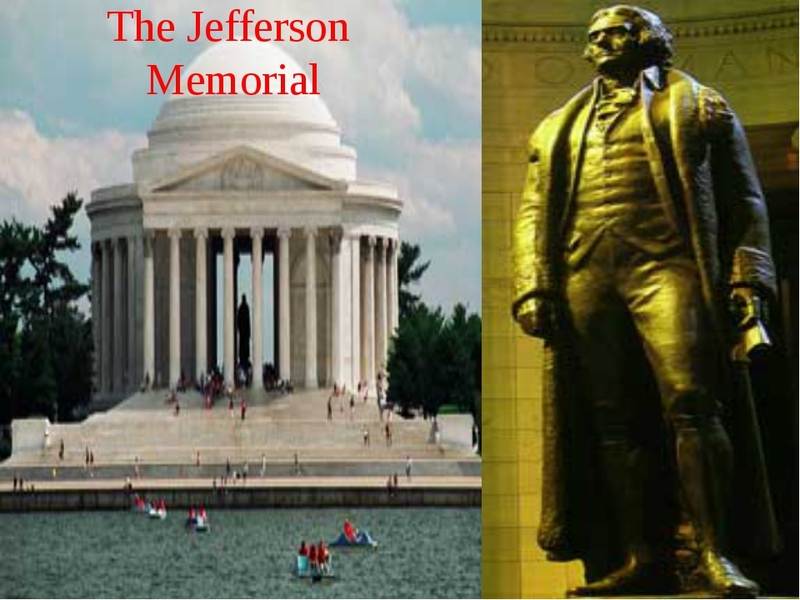 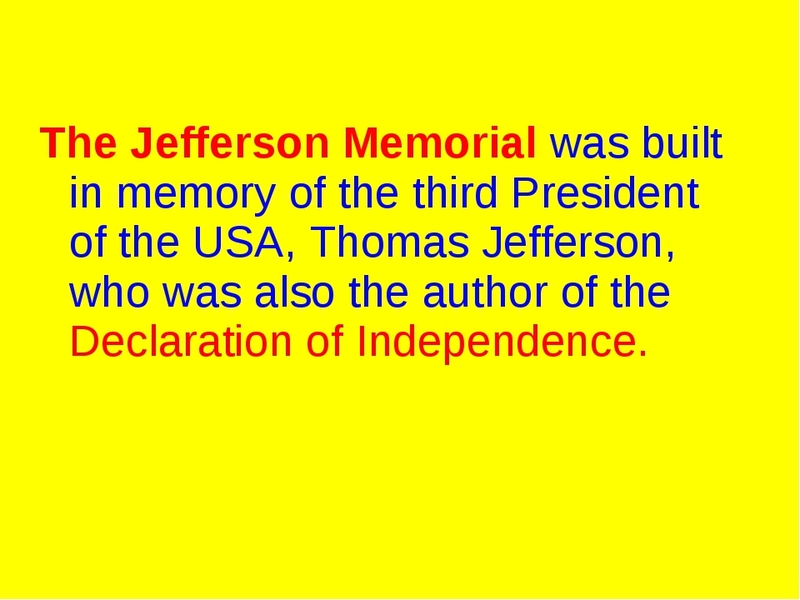 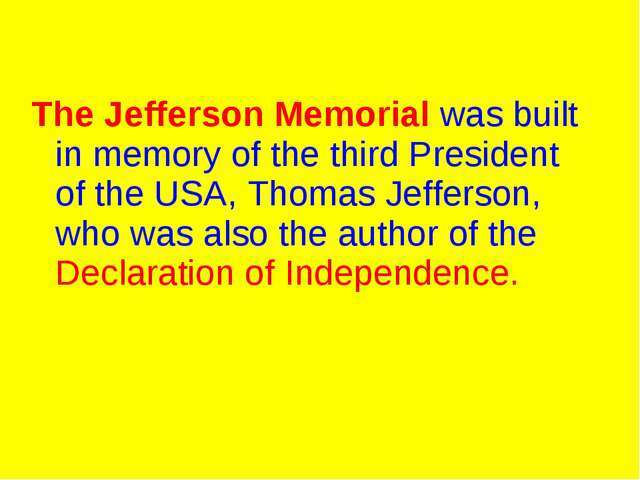 The Jefferson Memorial was built in memory of the third President of the USA, Thomas Jefferson, who was also the author of the Declaration of Independence. 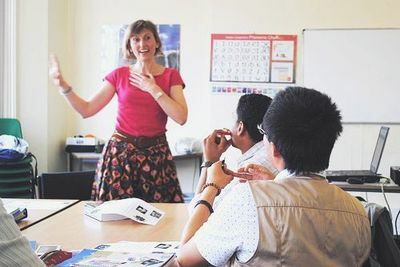 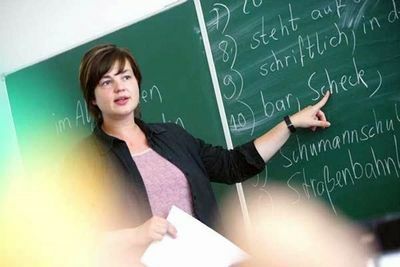 Батыс Қазақстан облысы Тасқала ауданы Ақтау орта жалпы білім беретін мектеп-балабақшасының ағылшын тілі пәні мұғалімі Кенжебаева Динара ГизатовнаБұл презентация сабақ 6 сыныпқа елтану үшін өте керекті сабақ түрі. Онда Вашингтонның көрнекті жерлерінен суреттер бейнеленіп, әр суретке түсіндірме жазулар берілген. 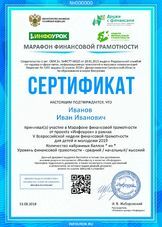 Вашингтон туралы жалпы мағлұмат.  Вашингтонның тұңғыш президенті Джордж Вашингтон. Ақ үй, Линкон монументі, Джеферсон монументі туралы суреттер мен жазба жұмыстары. 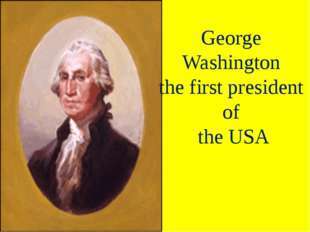 Оқушылар осы презентация қолданыңыздар.